John Foote, our National Masters Champion is crowned. 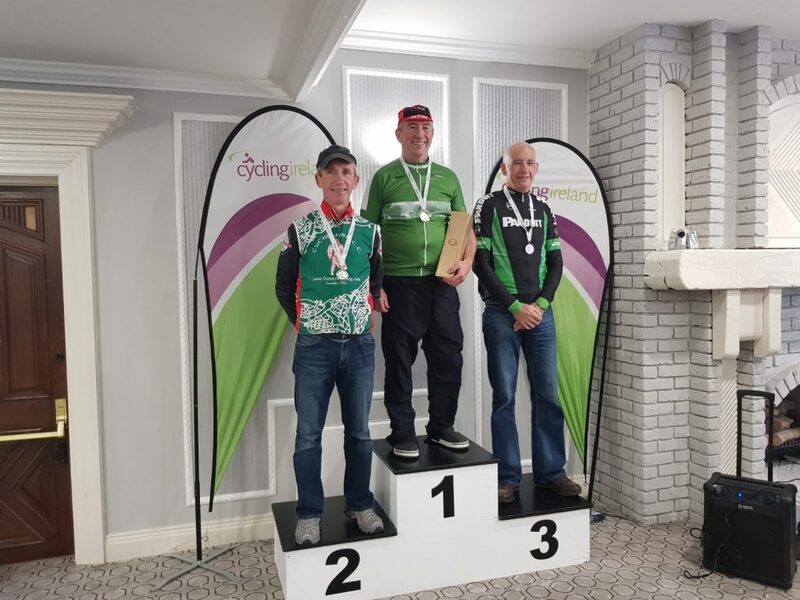 The National Masters TT Championships took place on Saturday in Shannon, Co. Clare so not too far a journey for our three members John Foote, Eoin Woods and Michael Crowe to travel. The course has been trialled and tested over and over for the last few weeks coming up to the event by the lads, mentally mapping the course in their heads. There was a big entry for the Masters National TT this year so as you can guess some big names and stiff competition to deal with. 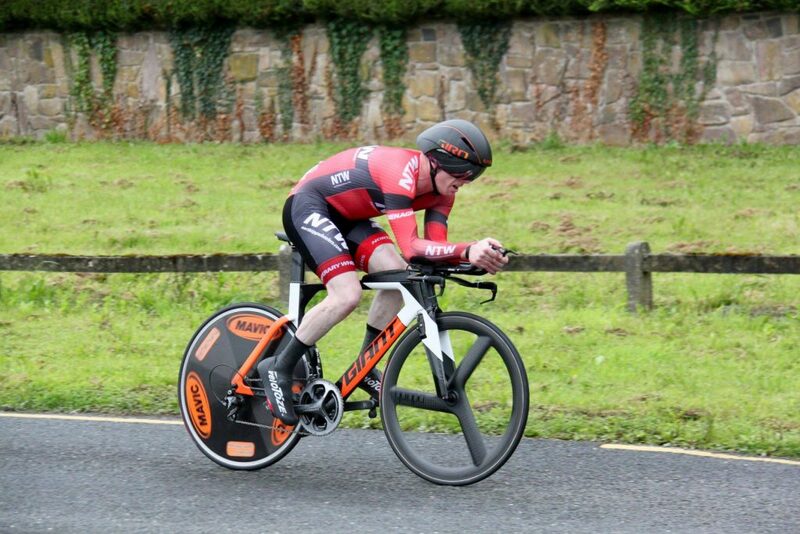 M60 National Time Trial winner 2018, John Foote. Picture by Coolbawn Cross Photography. To see all the lads in action in the Nationals you can see them in the link here and photos thanks to Vic & Tracy. 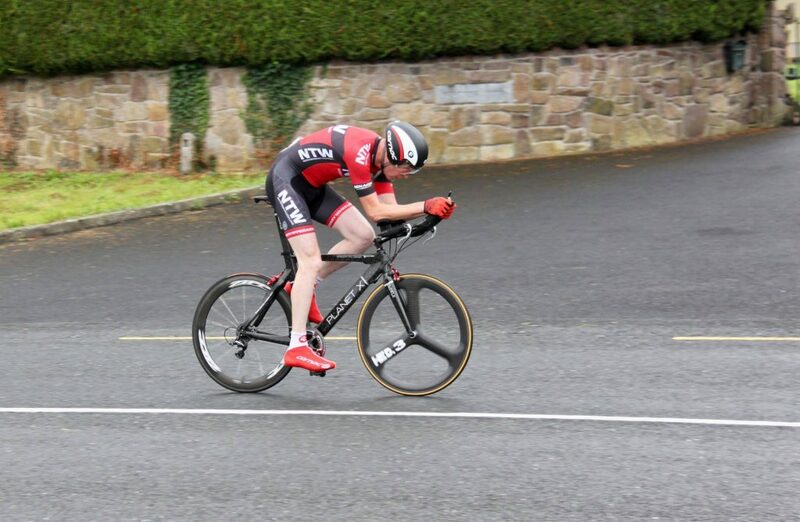 More photos of the National Masters TT in the link here thanks to Richard Quinn. 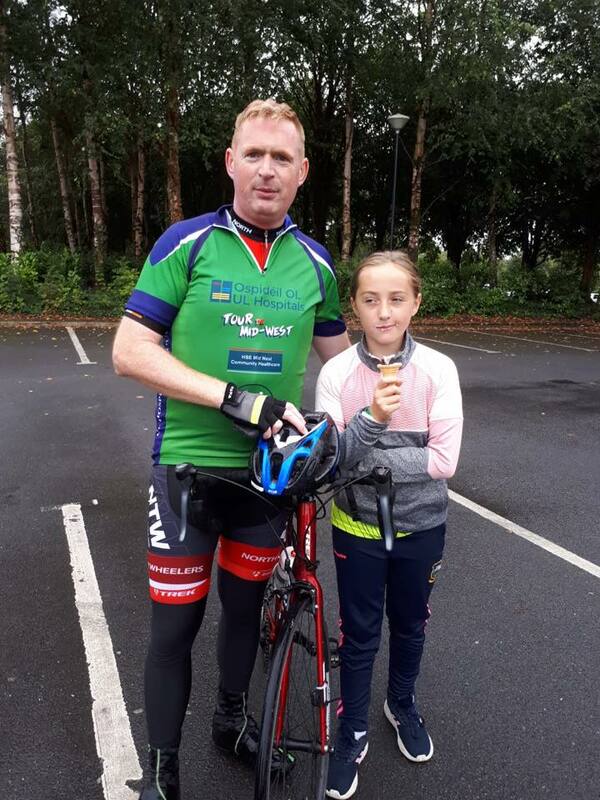 Well done to club member Dermot Kelly who completed the HSE Tour de midwest on Saturday, A very enjoyable and well organised event by all acounts. Dermot pictured with his daughter Niamh. 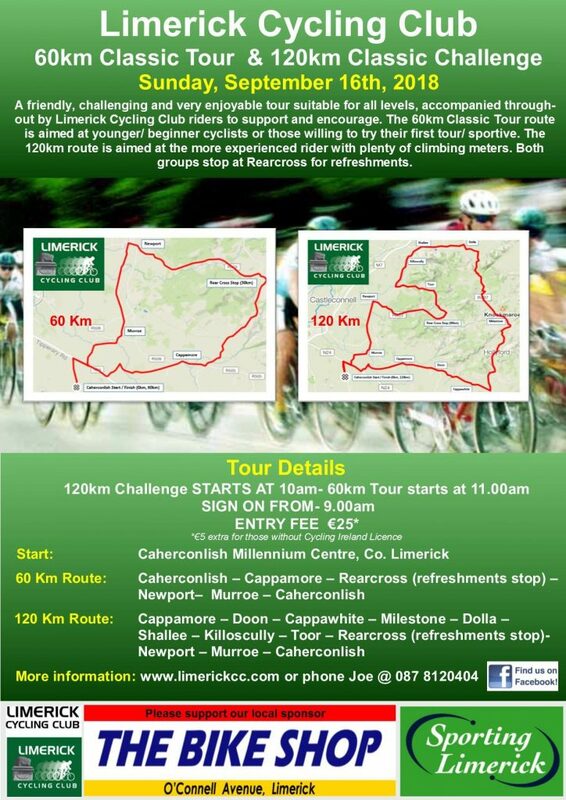 Well done to club members Sean, Pat and Mike who completed the tough Rebel Tour on Saturday. Great going. 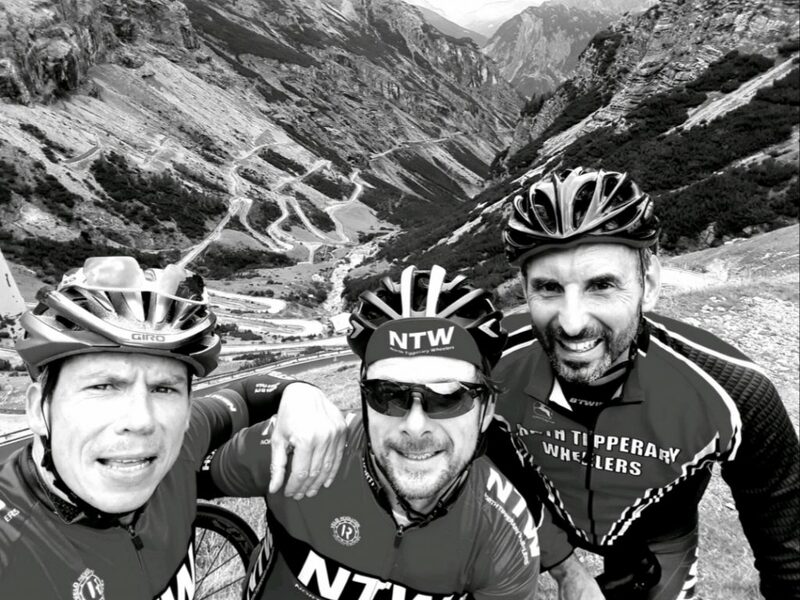 Kevin, Gary and Pat enjoying some quality cycling in Italy. Well done lads. 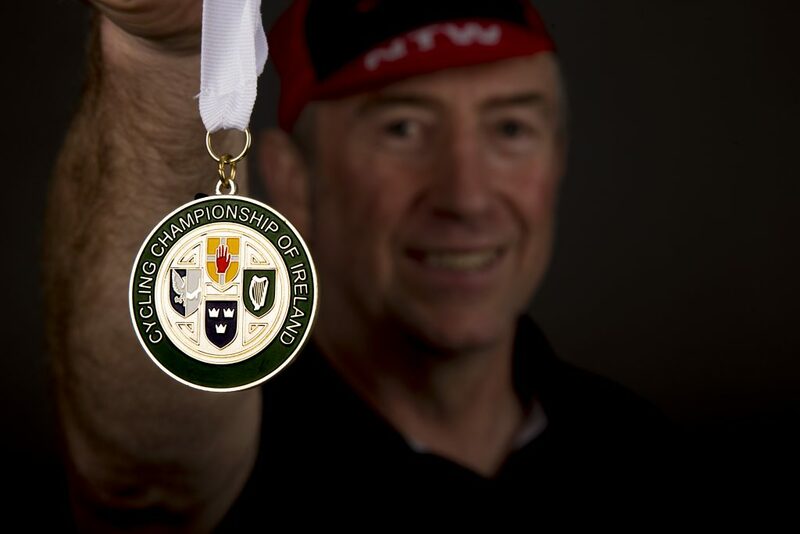 National Masters and A3 Road Race Championships in Shannon. 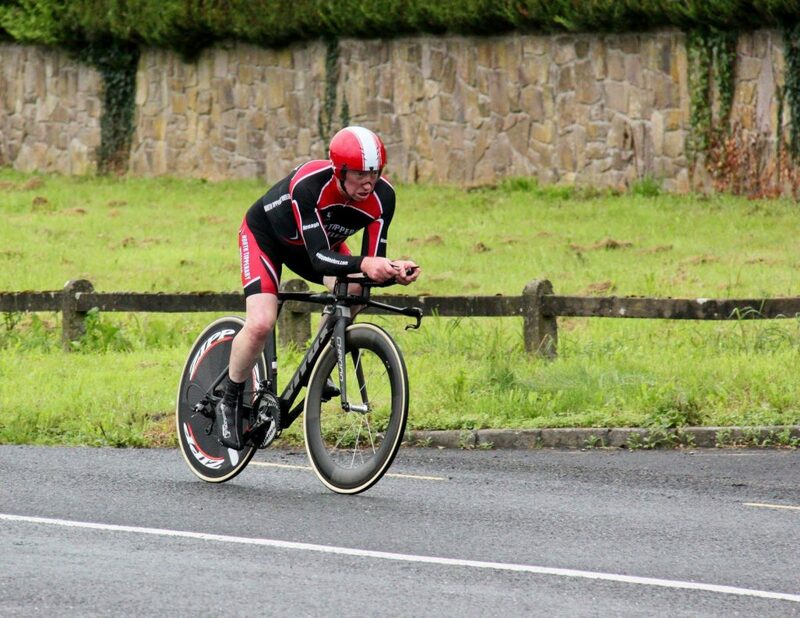 Sunday John Foote was racing in the National Masters 60 Road Race championships which were taking place in Shannon. John was in the main bunch from the start but the bunch broke up on the second lap and 8 riders including John went clear. There were a lot of little digs throughout but it all came back together for the finish. John was unfortunate to suffer cramping on the last lap and the drag up to the finish put paid to his race but he crossed over the line safely in the bunch. John very much enjoyed the experience. Well done John. David Kyle was taking part in the National Masters 40 Road Race and also finished his race safely in the bunch. Very well done to ye lads! There will be no club updates for the next two weeks so we will be posting up two weeks worth of club spins which you can see below. Tuesday: club training spin leaving from Moynans bike shop Nenagh at 6:15pm. Saturday: club training spin leaving Woodies car park at 9 am. Sunday 16th : We will be supporting our neighbouring club, Limerick CC at their annual tour. Always a great day out and we would love to see as many as possible there on the day. Tuesday 18th: club training spin leaving from Moynans bike shop Nenagh at 6:15pm. Thursday 20th: club training spin leaving from Moynans bike shop Nenagh at 6:15pm. Saturday 22nd: Training spin leaving from Woodies carpark at 9am. 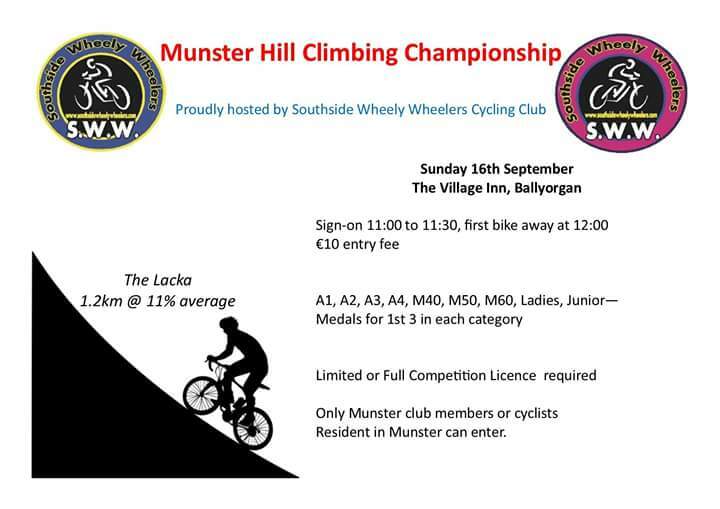 Sunday 23rd: Club spin leaving from Moynans bike shop Nenagh at 9am.